We look the arts to express things we can’t otherwise describe. In recent weeks, the Austin community has experienced feelings of horror, vulnerability, loss, and betrayal associated with the recent bombing event. 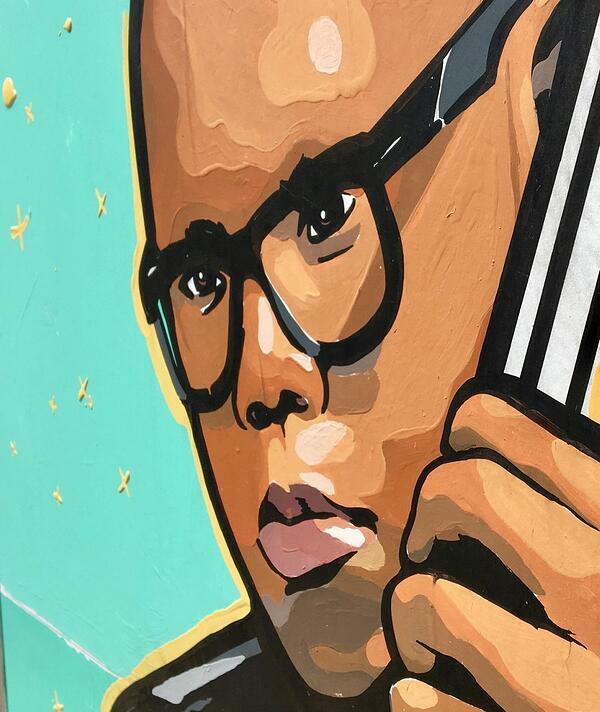 One Austin street artist has been able to create a remarkable piece that captures our feelings while paying a loving tribute to one of the victims, Draylen Mason. On the side of an electric vault at the corner of Pleasant Valley and Webberville Road a brightly colored image catches the eye. It took several passes to realize why the image seemed so familiar. After his death, images of Dray, as his friends called him, showed him engaged in his music. As an emerging musician and composer, he was already distinguishing himself as a versatile performer. His musical talent was matched with a loving heart. He was remembered by many for his encouragement of others. An overview of Draylen’s gifts and his remarkable potential was featured in Texas Monthly. I’ve driven past Dreylen’s tribute for the past two weeks and finally stopped to take a closer look. The unknown artist did more than simply print or use a stencil to create a striking graphic. On close inspection, this is actually a painting. The artwork was most likely painted off-site but must have been planned for this location, or an electric box of this kind. The heavy paper is sized and proportioned to be glued down and to cover the box entirely. The painting is signed, but I don’t recognize the marks. 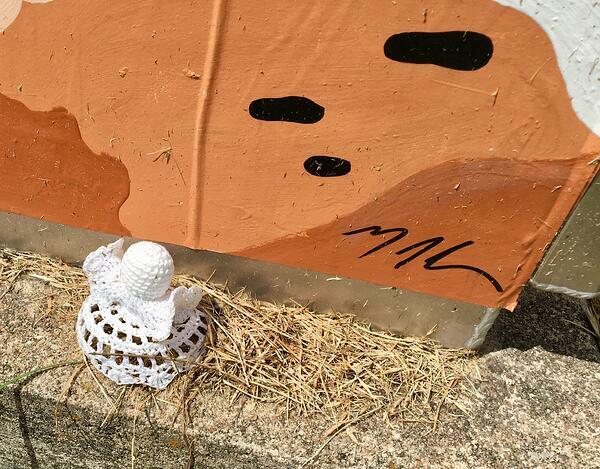 There may be other locations where the artist placed similar paintings, but so far, this is the only one I’ve seen.At least one other observer has responded in kind.A crochet angel has been left at the base of the painting. 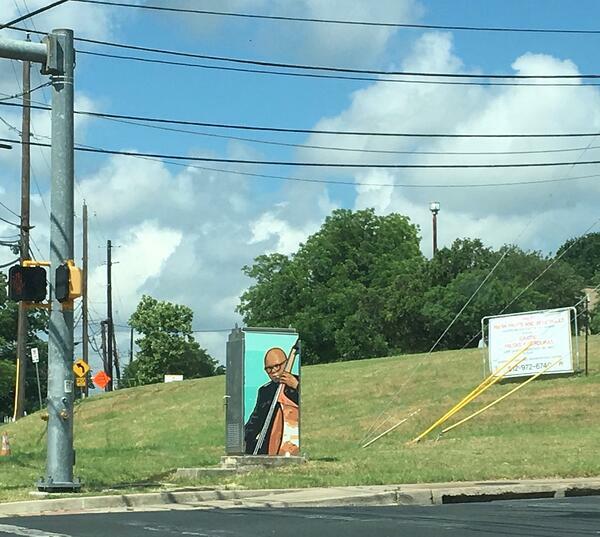 This loving tribute to Daylen Mason is located at the intersection of Webberville and Pleasant Valley Road in East Austin. 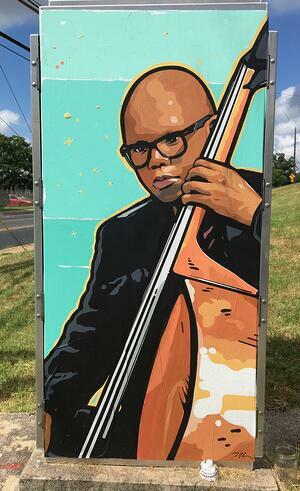 Read about other examples of notable Austin Street Art in tribute to Nina Simone .